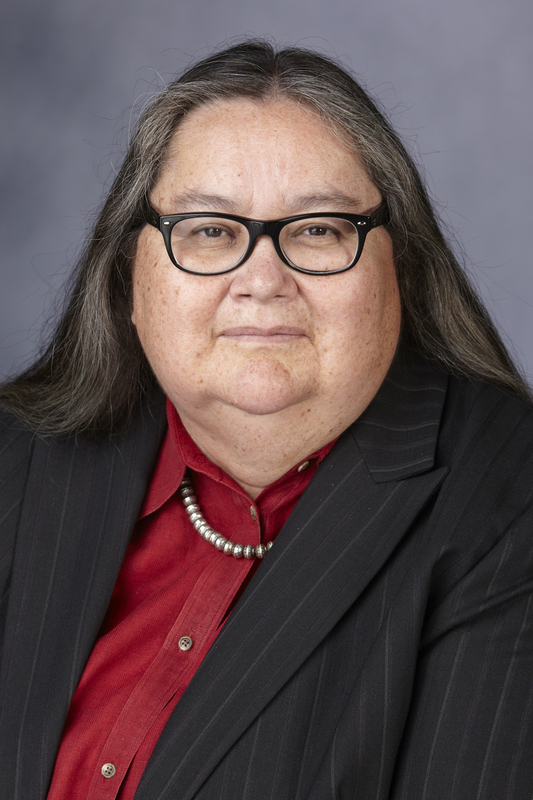 P. Jane Hafen (Taos Pueblo) is an English professor with expertise in American Indian studies. She serves as an advisory editor of Great Plains Quarterly, on the editorial board of Michigan State University Press, American Indian Series. She is on the board of the Charles Redd Center for Western Studies, and is an associate fellow at the Center for Great Plains Studies. She is a Frances C. Allen Fellow, D'Arcy McNickle Center for the History of the American Indian, The Newberry Library. She received the William H. Morris Teaching Award. She edited Dreams and Thunder: Stories, Poems and The Sun Dance Opera by Zitkala-Ša and co-edited The Great Plains Reader with Diane Quantic. Hafen is author of Reading Louise Erdrich’s Love Medicine and numerous articles and book chapters about American Indian Literatures. She edited and contributed to a collection of essays, Critical Insights: Louise Erdrich.